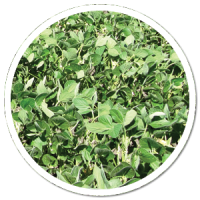 The Heads Up® Advantage is threefold, offering you a systemic, broad spectrum seed treatment that gives you season long protection against yield robbing pathogens. With more than fifteen years of data, growers across the United States and Canada trust Heads Up® to complete a superior seed treatment program, putting them on the right track to achieving higher yields by suppressing and preventing soil borne disease. While Heads Up® can be used alone, it can also be used with microbial inoculants or other fungicide/insecticide seed treatments such as Metalaxyl. When combined with other seed treatments and inoculants Heads Up® helps growers achieve stacked mode of actions against the toughest diseases to control white mold and Sudden Death Syndrome. To learn more about Heads Up® revolutionary mode of action, click here.